You are a student so every penny counts! Time to think about all that expensive stuff that is is stored in your dorm room. In almost every student room you can find stuff like a laptop, smartphone and a television. These are three devices that no student can miss in their lives. So imagine what a drama it will be if these devices get stolen, get lost or break down… Below we’ve shared some useful tips to secure your most valuable stuff. If your student residence is safe, this will of course go a long way in protecting your belongings in your room. Do you want to know how safe your dorm room is? You can do a test at Politiekeurmerk.nl to check the safety. Even if you have done everything you can to protect your stuff, something can always happen that you did not expect. Therefore, it is always a good idea to take out a household insurance. Not every household insurance is qualified for a dorm, therefore you always need to check this. Furthermore, research from Studenten Wegwijzer has shown that students worry most about their ‘mobile devices’ such as laptops and smartphones. For this reason it is really helpful to check if the insurance covers your stuff when you are outside. If not, you can consider to take out an additional laptop insurance. 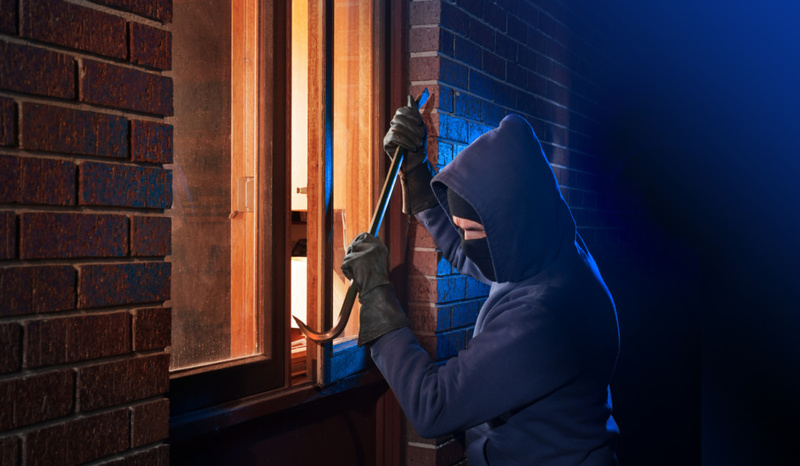 Burglary is one of the things that you really do not want to happen when you are a student that lives in a dorm. To reduce the chance that your expensive stuff will be stolen, you can purchase a safe. For thieves it is easier to put stuff in their bag and carry it with them. A lot of people will notice it when a thief is walking around with a safe. That’s why it’s good to put your most valuable stuff in a safe when you go outside. Think about your laptop, watches, passport and expensive jewelry. You can even share a safe with several housemates. There can always be an accident, especially in a dorm! Make sure to protect your vulnerable stuff against damage. During your student life, there will be a lot of parties in your dorm. Because beer and laptops are not a good combination, it is wise to protect your laptop with a good cover. Also, it is always a good idea to store away your other vulnerable stuff. Many dorm rooms already have it, but a lock on the door is in many ways really handy. Beside the safety of your stuff, it is of course a good thing for your privacy. A research from Nibud shows that studying costs a lot of money. That’s why many students do not want unexpected high costs because of their belongings being broken or stolen. Hopefully these tips can help you during the period that you live in a dorm. That way, you can save money to spend on the nicer sides of your student life!